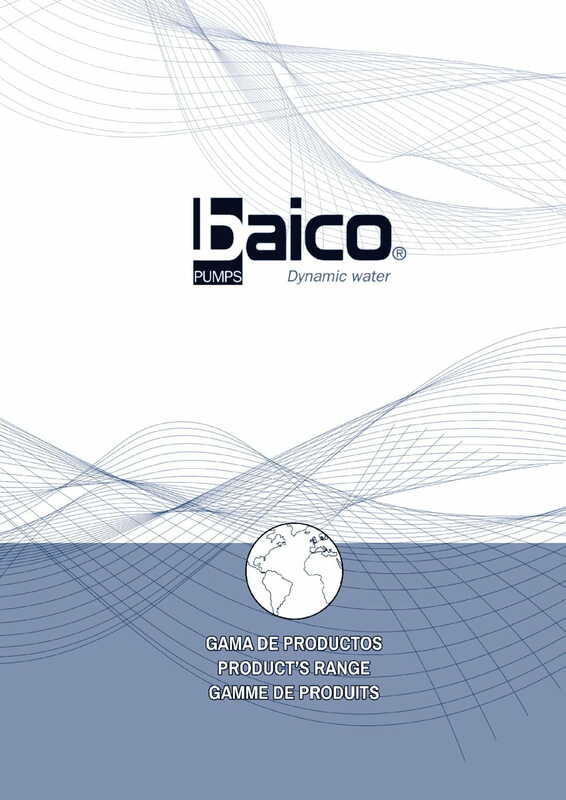 BAICO presents the new catalog of products with a new design for an easy selection of them. - Pumps with electronic control parameters either of the motor or hydraulic ones. - New line of ISKUT series frequency inverters with remote control for start-up and monitoring of booster sets. - New line of pool pumps up to 3 HP. - New series of products for water treatment, with units of reverse osmosis, double and triple filters up to 20 ", FRP tanks, softeners, etc. - Control panels for both well pumps and firefighting systems.